Bitcoin is often referred to as money you can earn and spend for online purchases globally. 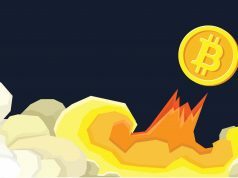 Eight years since the concept was introduced by Satoshi Nakamoto in 2009, Bitcoin is now gaining ground as a new form of currency that you can spend outside of the internet. 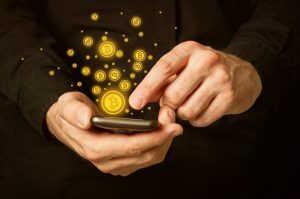 With the appeal of its direct peer-to-peer payment scheme without going through an intermediary, an increasing number of brick and mortar establishments across the globe are now willing to receive Bitcoin payments. More countries now recognize Bitcoin as a legal tender. With this rising new currency filtering into mainstream acceptance, how do you increase the cache you have in your Bitcoin wallet? Apart from putting up an online shop or participate in a Bitcoin mining pool, here are a few ways on how to earn Bitcoins with minimal effort. Be a Faucet. Bitcoin Faucets are good vehicles to test the waters before jumping head into the Bitcoin waters. Signing up for Bitcoin Faucets enable you to earn fractions of a bitcoin for activities like solving captchas. While the payout is minuscule, the strategy is to participate and solve a lot of simple riddles and captchas to earn a bit of the Bitcoin. You must set yourself up with a Bitcoin wallet so that you can receive the Bitcoin payouts. Affiliate Marketing. If you have a blog or a web page, try putting in links to other sites that support bitcoin payments or promote Bitcoin-based products and services. These merchants pay off a nominated Bitcoin reward to your Bitcoin wallet for every sign-up or visit to their website. Invest in Bitcoin Investment Packages. 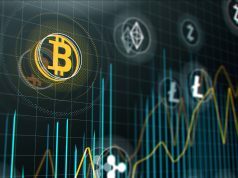 A number of Bitcoin start-up companies are offering positive returns for a particular Bitcoin amount you invest in their product for an identified time frame. This model is very similar to passive investment products of banks and financial institutions like time deposits and money market placements. 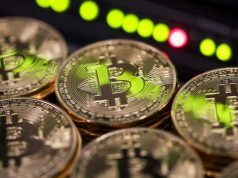 The digital economy using Bitcoin cryptocurrency continues to take off and move towards the mainstream. More and more opportunities will crop up for ways to create wealth for the Bitcoin owner. Be alert and keep updated. But more importantly, don’t forget due diligence with companies that promote opportunities to easily earn bitcoins.